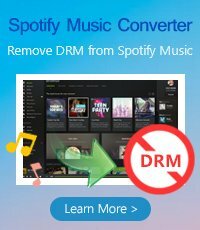 How to Losslessly Record Spotify Music with Fast Speed? 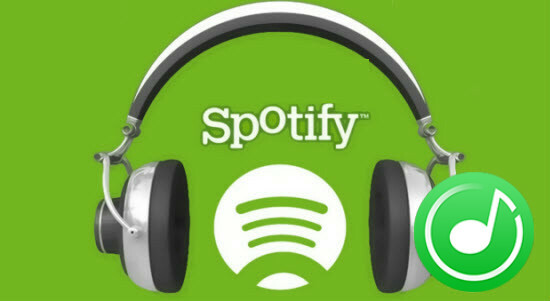 Spotify is one of the most popular streaming services in the market. This service offers a free account to allow users getting access to the varieties of music online. But, how to download Spotify music for offline use with free account? There are many ways to download Spotify music. If you Google "how to download Spotify music", you can get a batch of music downloaders, or music recorders, such as Wondershare TunesGo, Audials Tunebite, iSkySoft Recorder, ect, to help you download and record Spotify music. But, there exists a common problem of these music recorders, that all of them try to record the playing Spotify music directly. It takes much time to record your whole Spotify playlists. What is more, the recorded audio quality and ID tags may not be kept as well as that of the original audio. You need a better solution to download and record Spotify music. Fortunately, here comes a professional Spotify Music Recorder to help you record Spotify music lossless. 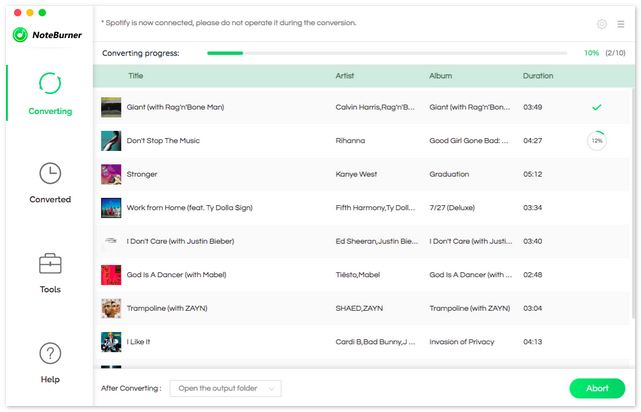 Encoded with a industry-leading recording engine, this app will record your Spotify music in the background in silence. Besides, the recorded audio quality will keep the same with the original Spotify audio. 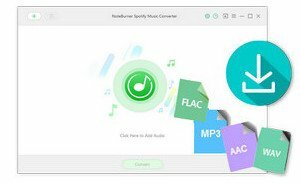 Following is a detailed tutorial showing you how to download Spotify music losslessly and fast with the help of this Spotify Music Recorder. 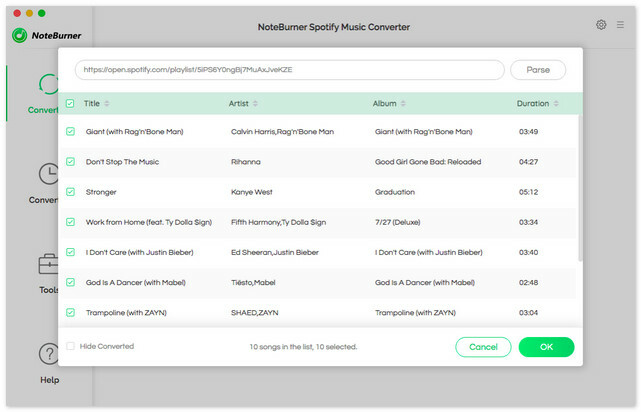 Please download and then install the latest version of NoteBurner Spotify Music Recorder from the following download link. To install this Mac app, Mac OS X 10.9 or later is needed. After installing, click to launch this powerful Spotify Music Recorder (Spotify Music Downloader). Click Add button on the top-left interface to open the add audio window. 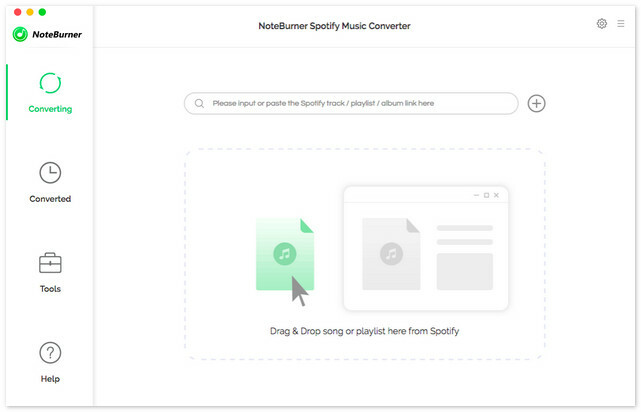 Then go into Spotify main menu to find music or playlist you want to record, directly drag the songs or playlist you want to record to NoteBurner Music Recorder. Click the setting button on the top-right interface to set output format, output quality, conversion speed and output path. You can record Spotify music to MP3 or AAC with high quality (320 kbps is available to choose). 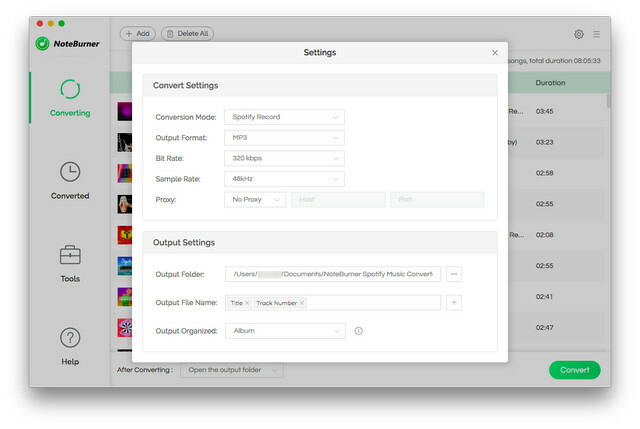 After the above setting, click "CONVERT" button the start recording Spotify music to MP3 or AAC. The whole record process will proceed in the backgound in silence. After recording, the output folder will open automatically. Or you can click the History button on the top-right interface to find the recorded music. You will find that all the ID tags will be kept in the recorded audio.